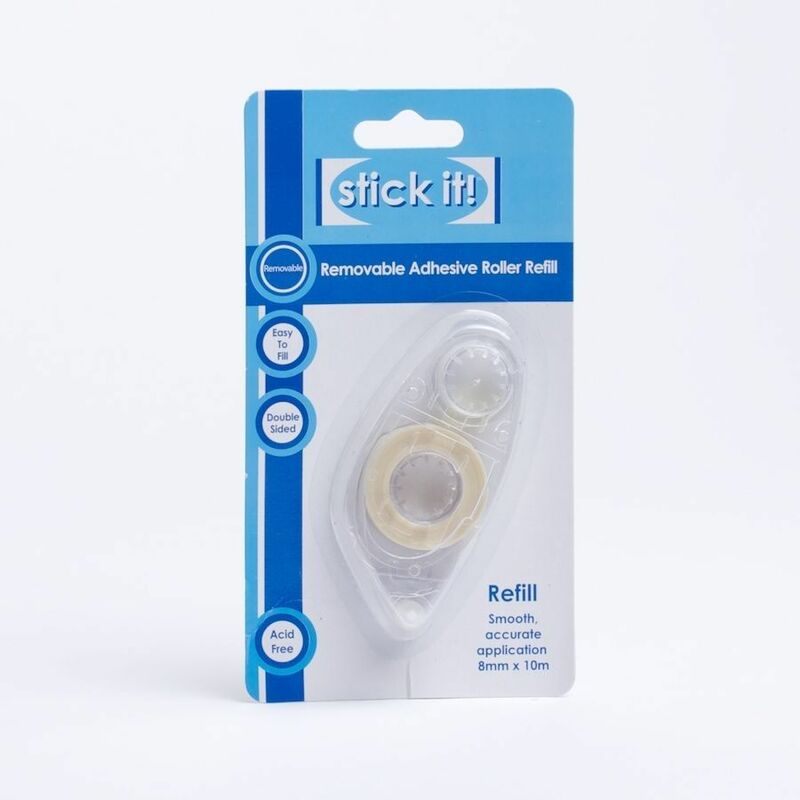 Stick it 10m x 8 mm Removable Adhesive Roller Refill. Perfect for card, paper and general craft projects. * Position the material to be glued onto a flat, steady surface. 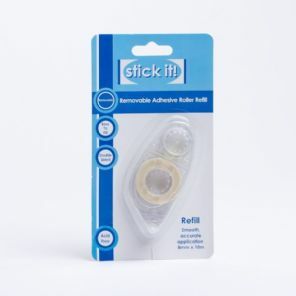 * Roll Adhesive Roller smoothly backwards pressing the tip at a 45 degree angle from the flat surface applying light pressure. * Stop and list away.